Do you realize that your passwords already are not safe? For this kind of risk, we created a new function of "Password Generator". 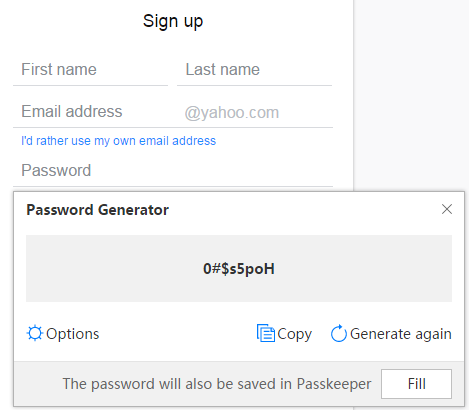 When you need to type a password to register a new account on a website, Passkeeper will generate a complicated random password and store it into Passkeeper for you. If you want to view this password, please open "Autosaved Password" to have a see. Passkeeper eases your memory burden and provides enough security. 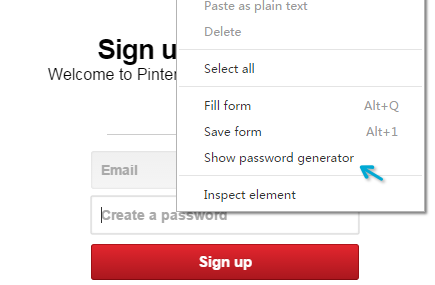 When you create a password on a website, you also can open Password Generator to generate a new password by right click.